Facebook is a very common name in the world. In this information technology world there is no one who don’t know about Facebook. Facebook is a great thing which known by the world of people. Today we are here with a great trick. It can help you a lot. The trick is about Facebook Security. This Security is too much needed for using Facebook. What is Facebook Security ? Facebook Security is a way to use any Facebook Account without any problem. Facebook authorities too much active about it’s security. As we said that it is a very popular social network it can be hacked. Every facebook account is very important for that person. If it is hacked then it can be very cost for the person. Many of us keep there important files on facebook. Facebook is too much important for a worker. He can communicate with his colleagues or boss too. So if his account hacked then what can he do ? That’s why security matter is very important to all of us. First of all you need to logged in your Facebook account. And then head towards Settings then Security. Now there you will find login notifications. For both SMS and notification . Now you will now receive notification on every logging. 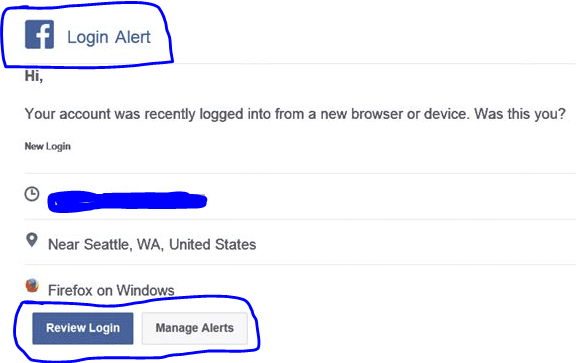 This is the one of the best way to secure your Facebook accounts from hackers as in this you will receive an SMS when your Facebook account get logged in from any other browser than the default you used in that computer. Here you can see login approvals. The is the cool way to make your profile secure. It is the setting up trusted contacts for your account. Here you can add the accounts of your friends or Family to solve the problem if your account being hacked or facing problems while logging in. Click on the Trusted Contacts section. 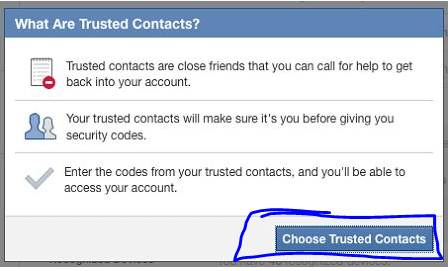 Then click on Choose Trusted Contacts. Facebook Security System is one of the most important thing on facebook. You can’t ignore it. If you then your account being hacked. Hope you enjoy the trick. Share it with your friends and family that they also can save their account.